For the preparation of whipped cream, light and fluffy desserts, creams and mousses as well as cold savoury sauces. Practical for fast preparation. 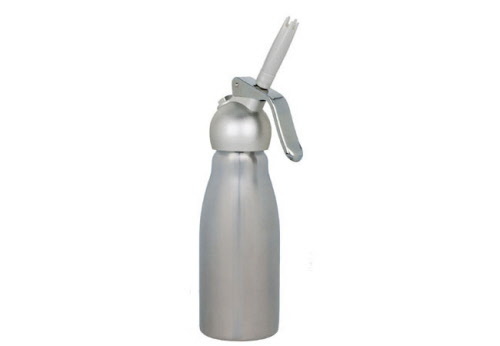 Aluminium bottle with special food safe interior lining. High gloss enamel exterior. Solid metal head. Metal adapter with two different unscrew-able dispensing nozzles for a variety of decorative effects. Removable head gasket for easy cleaning.